Wearing the now-very-recognizable label, Atelier Zuhra, Sonakshi attended the HT Most Stylish Awards. The color sure was striking but it was it enough to generate excitement about this appearance. Not so much for me. You can blame it on the fatigue of seeing the mirror bustier design in every color and form. Also, wasn’t a fan of the hairdo. Janhvi opted for an Atelier Zuhra strapless gown to wear to the Zee Cine Awards and while on the model, the gown looked nice, on Janhvi it felt quite overwhelming. Did you like her appearance here? Khushi wore an Atelier Zuhra gown to the reception with a messy side braid and bangles. I liked that she kept the makeup light. She looked great! 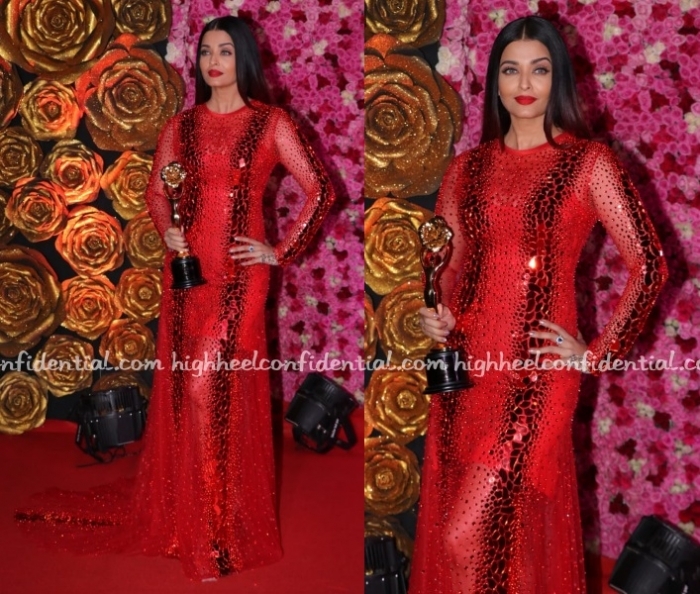 Aishwarya attended the Lux Golden Awards wearing a red mirrored gown from Atelier Zuhra . Red on red can be impactful but was it the case here, not really. Neither was I a fan of the gown itself (disliked the two distinct mirror lines), nor the styling (the slim silhouette need a more voluminous do). 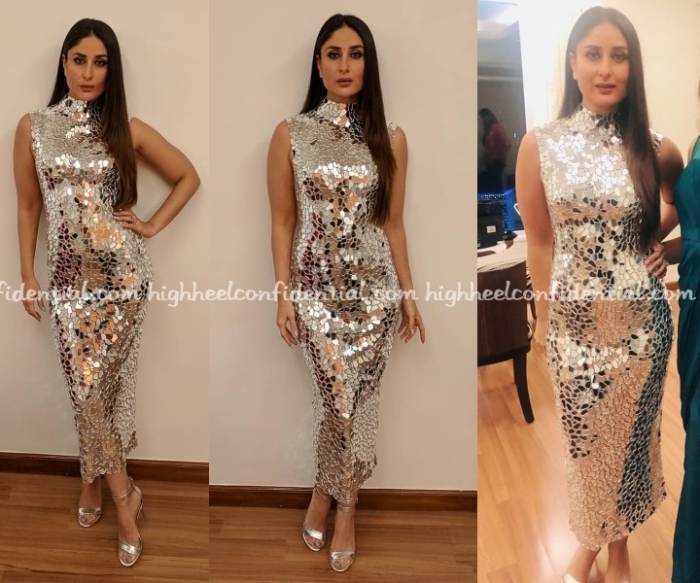 Kareena attended an awards ceremony wearing a mirrorwork Atelier Zuhra dress. While she looked good, from what we see, seems like pumps may have been the better way to go given the length of the dress. No?